When I first went down to New Orleans to attend Tulane University, I hadn't really heard much about the city other than “Mardi Gras” of course. But after spending the good part of four years living down there there, I can confidently say that it’s my favorite city in the world.  New Orleans really reflects Fair Harbor's easy-going lifestyle in so many ways; the local fishing and restaurant communities truly reinforce a deep respect for the ocean, lakes, and creatures that surround the city. The laid back lifestyle paired with an endless supply of fresh seafood and tall drinks have really made New Orleans my happy place. There is such an unconventional beauty to the city that you can hardly find anywhere else. The friendly attitude of the people, the French and Creole architecture of the buildings, and the local lingo all add to a completely unique experience. After the city was tragically hit by hurricane Katrina, the people of New Orleans and the businesses within it came together in efforts to try and become more environmentally conscious and sustainable as a city. This has led to a robust sustainable business culture, spanning from large coastal restoration efforts, all the way down to sustainable restaurants serving more locally sourced seafood. I love visiting New Orleans because it’s such a well needed contrast from NYC. It’s all about taking it easy and enjoying the simple pleasures in life. Whether I was indulging in my favorite oysters at Peche Seafood Grill, taking a stroll with drinks in-hand down the riverwalk, or jamming out to some live brass music on Frenchman Street, I was always enjoy life to the fullest down there. Some of my greatest memories took place in New Orleans, and I hope that throughout my life i’ll find the time to head back down there to take a load off when the big city bustle becomes too much to handle.